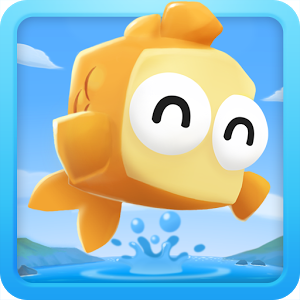 Throwing fish doesn't usually come up much as a game mechanic, but that's essentially the entire premise in Fish Out Of Water from Halfbrick Studios. 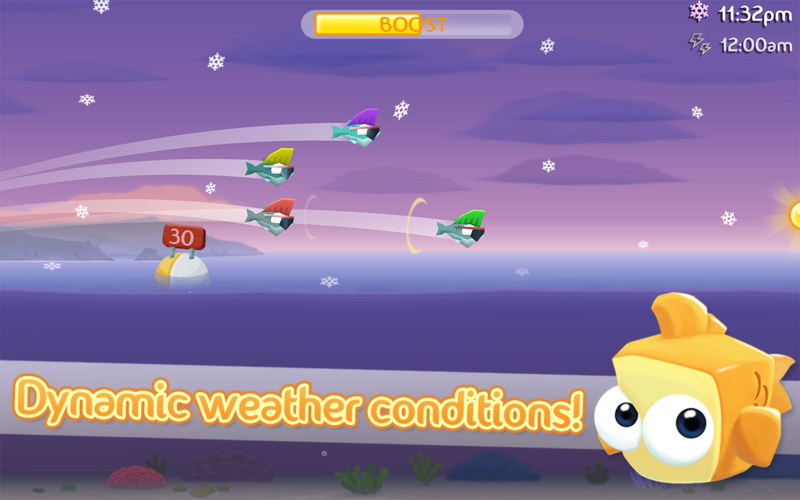 You might remember Halfbrick as the developer behind Fruit Ninja and Jetpack Joyride, but now it has moved on to fish. 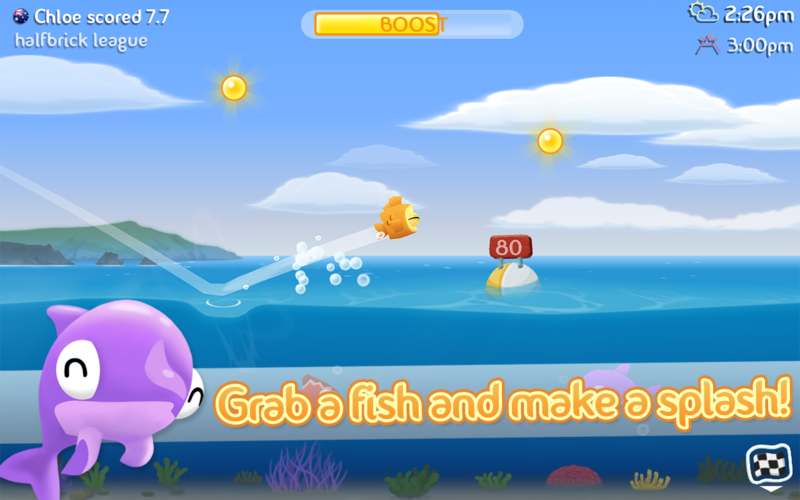 All you have to do is throw fish across the screen, but it's strangely addictive. You have a small school of fishy friends in Fish Out Of Water, each one with a different set of behaviors when tossed. 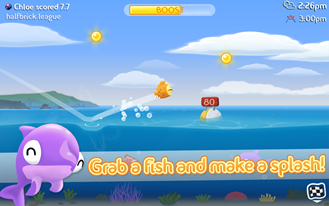 The goal is to pick three of the fishies and flick them across the screen to skip them across the water's surface. 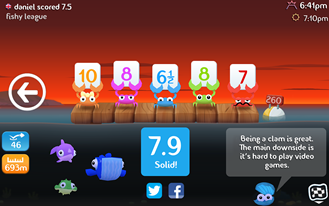 You are then judges by a panel of crabs based on total distance and number of skips. Admittedly, that doesn't sound addictive as I've just described it, but you have to play it for yourself. Fish Out Of Water has an array of challenges, power ups, and other items. It's free to play, so there are some in-app purchases. It doesn't seem excessive, though. 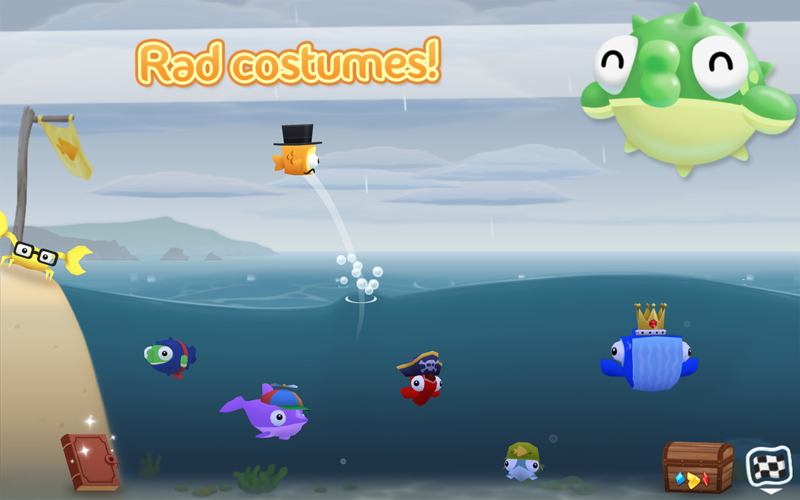 You can unlock costumes that improve the fish, or pay a buck to just unlock them early. There are also additional power ups for sale, but again, the game doesn't push it.